The International Seafood Sustainability Foundation (ISSF) has released its Update to ISSF Conservation Measures & Commitments Compliance Report, which shows a conformance rate of 99 percent by 27 ISSF participating companies with all 22 ISSF conservation measures in effect as of October 1, 2017. As part of its commitment to transparency and accountability, ISSF engages third-party auditor MRAG Americas to assess ISSF Participating Companies’ compliance with ISSF’s conservation measures according to a rigorous audit protocol. 21 companies were fully compliant with all 22 measures audited, an improvement from 16 fully compliant companies in the June 2018 annual report. Three of the conservation measures had minor non-conformances, an improvement from six with minor non-conformances in June 2018. The June 2018 ISSF Annual Conservation Measures & Commitments Compliance Report showed that four companies had at least one major non-conformance, with a total of five major non-conformances found. As of November 2018, all major non-conformances had been remediated. Tracing tuna products by fishing and shipment vessels, fishing trip dates, fish species, ocean, and other factors. Establishing and publishing policies to prohibit shark finning and avoiding transactions with vessels that carry out shark finning. Conducting transactions only with purse seine vessels whose skippers have received science-based information from ISSF on best practices such as reducing bycatch. Avoiding transactions with vessels that are on an RFMO Illegal, Unregulated and Unreported (IUU) Fishing list. In addition to the summary compliance reports published in June and November, MRAG Americas issues individual ISSF participating company reports that detail their compliance with conservation measures. These include “update” reports, published throughout the year, that explain how individual companies have remediated any non-conformance on the conservation measures; you can view these reports here. 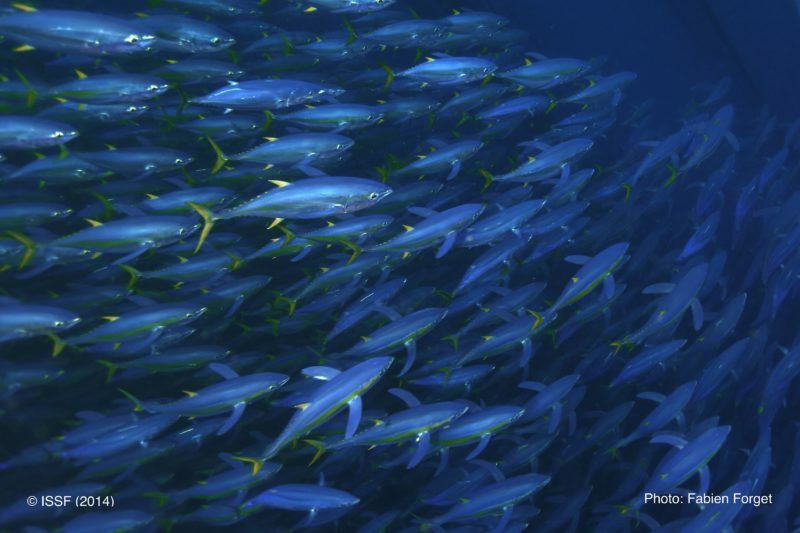 For long-term tuna sustainability, tuna companies worldwide are choosing to participate with ISSF, follow responsible fishing practices, and implement science-based conservation measures. From bycatch mitigation to product traceability, ISSF participating companies have committed to conforming to a set of conservation measures and other commitments designed to drive positive change — and to do so transparently through third-party audits.